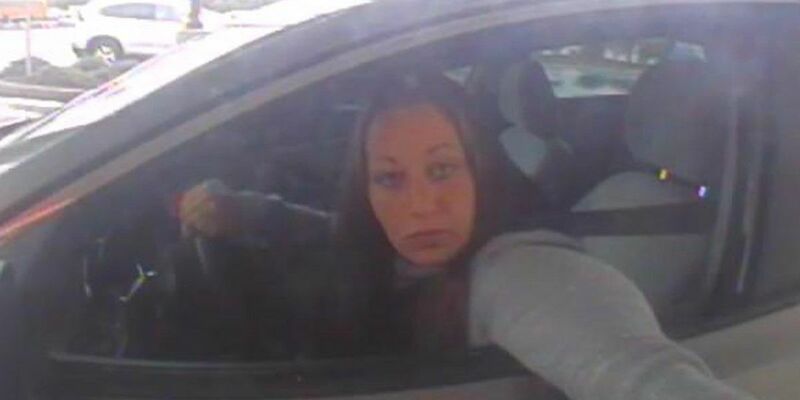 Is an identity theft suspect caught on camera really Ashley Summers? Police and the FBI are investigating a string of identity thefts in Rhode Island and their suspect, to many, looks just like Ashley. Summers disappeared in Cleveland back in July of 2007. She was 14 at the time. "The one with the eyes close I think looks just like her, the features and everything, the hair," said Debbie Summers, Ashley's aunt. "We don't have any solid leads, this is the first time anybody has captured a photo of anybody that looks like her," said Linda Summers, Ashley's step-grandmother. Surveillance video in Rhode Island caught the woman who looks like Ashley and a male accomplice on camera, not just once. Their pictures were posted on a "wanted" website. That's when someone spotted her and called the family of Ashley Summers here in Ohio. "The more pictures that were sent to me the more it appeared to look like the last picture we had of Ashley," said Linda Summers. Ashley's family isn't alone in seeing the similarity. The police and FBI see it too. "It is a very stunning resemblance the pictures we've seen," said Vicki Anderson, FBI Spokesperson. Police can't comment too much about the case, but admit they are getting tips as this story makes its rounds on the air and social media. Ashley's family prays for her safe return and looks at the pictures with hope. "It's not 100 percent because it has been 7 years and because from 14 to 21 there's a lot growing up a person does but it does look like it can be a grown up picture of Ashley," said Linda Summers. For now all the family can do is wait for police to catch up to these suspects. In the meantime, Debbie Summers has this message for Ashley: "I love you come home. I'll help you get out of trouble, whatever you need, just come home."